During the purchase process, you will be asked for the name and serial number of the competing product that you own. Floating plug-in windows — Keep plug-in windows in front of all other DP windows. Set the floating preference globally or choose to float on a per-window basis. MIDI Learn for audio plug-ins — Map knobs, faders and switches on your MIDI controller to audio plug-in parameters. 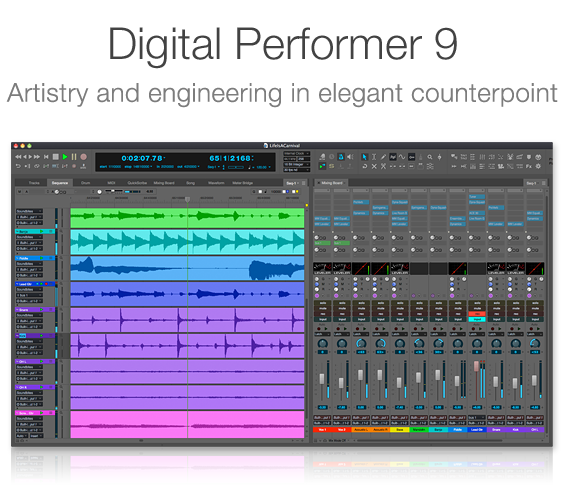 Use Digital Performerâs powerful Custom Consoles feature to access advanced programming for the connection. More searching — Find Markers, Chunks and plug-in preferences faster with newly added search fields.